Caption slip reads: "Photographer: Wesselmann. Date: 1957-07-31. Reporter: Decker. Assignment: North Hollywood fire at 4093 Lankershim Blvd. 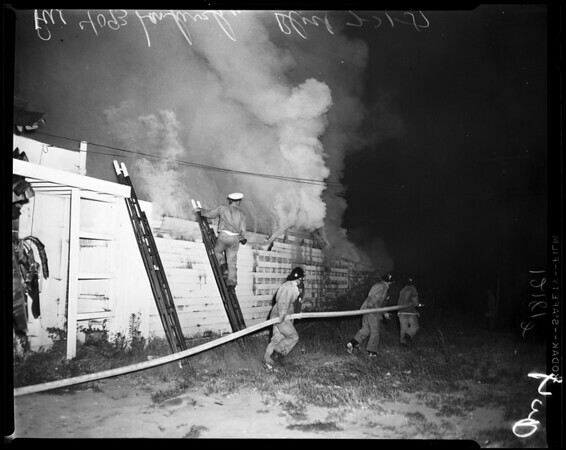 Firemen fighting flames and smoke at National Appliance, Inc., in North Hollywood at 5 a.m.".